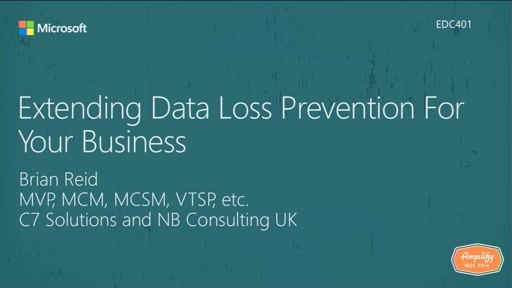 Do you want to ensure that your data in Office 365 is protected? Then come to this session where we look at ten things to help you further secure the access to the data over and above the security already in Office 365. We demonstrate and discuss features such as data loss prevention (DLP), message encryption , rights management protection (RMS), multi-factor authentication (MFA), client security such as patching and MDM, sharing content internally and externally, network encryption (SSL), AD FS restrictions, and anti-spam settings. But there is more, and we plan to cover that too!